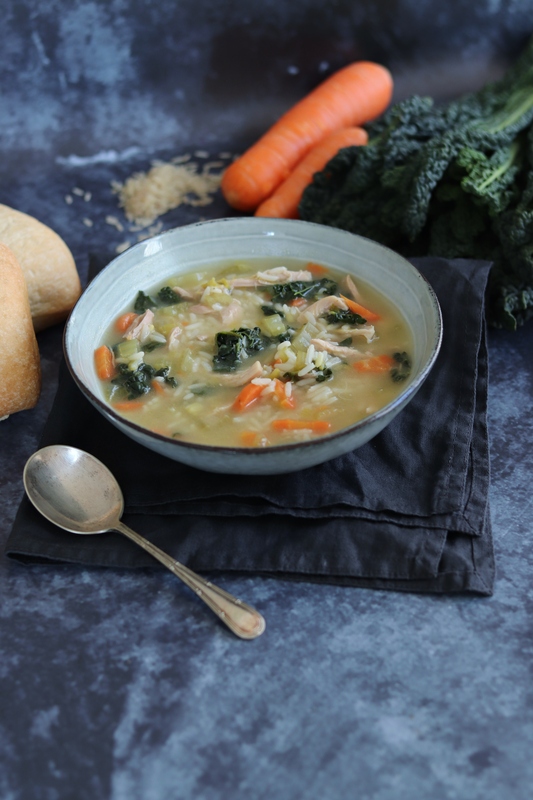 Sometimes all you want is a comforting bowl of soup and this Easy Chicken & Rice Soup is definitely that. 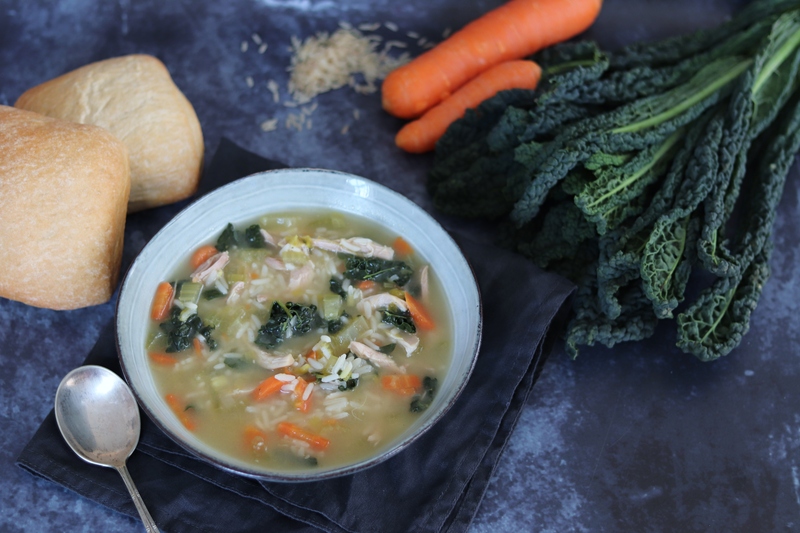 Everyone needs a go-to chicken soup recipe and this is not only tasty but easy too! As I have mentioned in previous posts, I am just a little fussy when it comes to soup! Because of this I don’t buy soup and always make my own. The beauty of soup is that it is really easy to make and you can make a whole pot full at a time. Some of my favourite recipes are my Leek & Potato Soup and Roasted Tomato & Red Pepper Soup. In fact all of the recipes on my blog are smooth soups which have been blended. It was about time I made a chunky soup recipe! 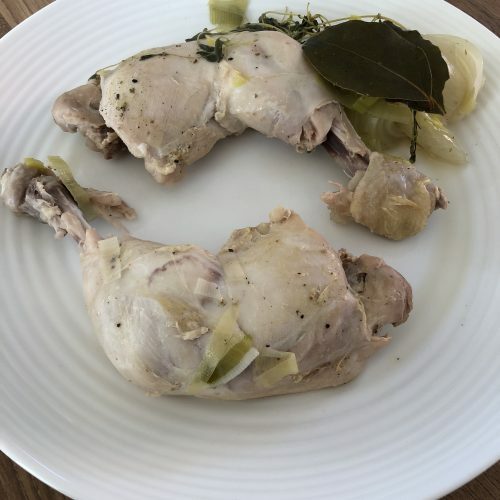 I’ve wanted to make a chicken soup recipe for a while because a few years ago I did find a chicken soup in the shops that I really liked. They then changed the recipe – not good. 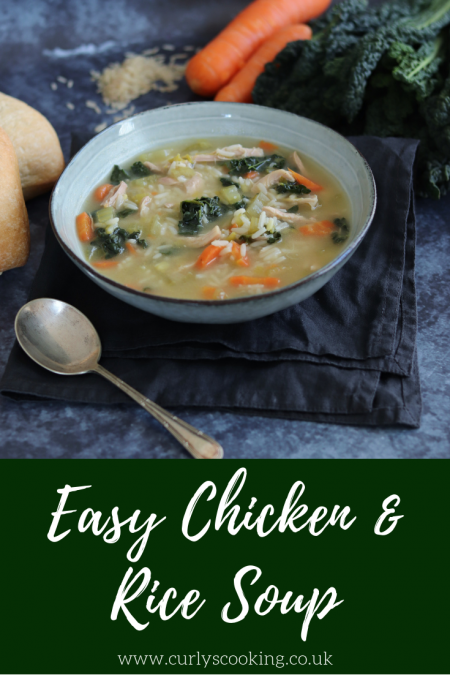 Although this recipe isn’t lie that one because it was smooth and creamy; this Easy Chicken & Rice soup still provides the same comforting feel. Unlike my other soup recipes that include milk to give them a creamy taste, this recipe is more of a broth. Broths are lighter but I wanted this chicken soup to still be a filling meal which is why I added the rice. They are also the perfect kind of soups to add lots of veggies to. As well as the staple flavour enhancing vegetables of carrot, onion, leek and celery I also added cavolo nero. This is partly because it is my new favourite vegetable; but also because it adds lots of nutrients and a lovely colour to the soup. 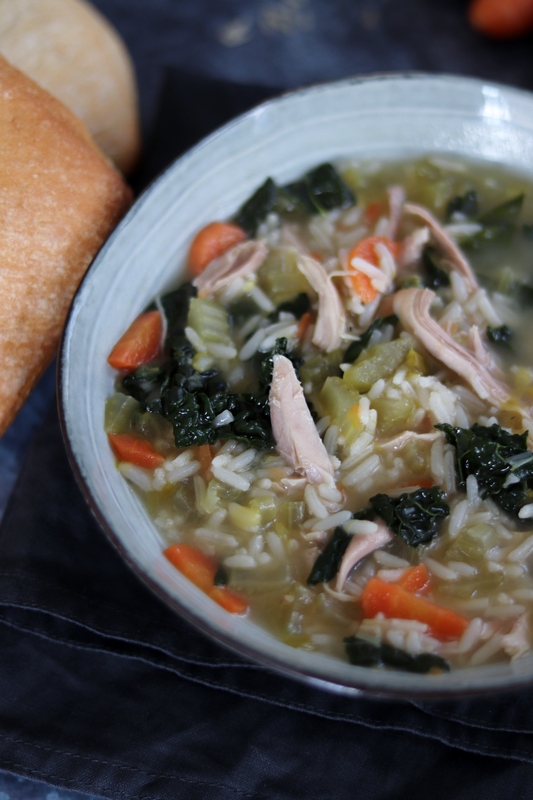 This Easy Chicken & Rice Soup makes enough for five lunch sized portions. By that I mean that if you wanted to enjoy it as your main meal you might want some more! If you are going to freeze this soup, make sure you don’t overcook the rice. This is because it is going to cook further when you reheat it. If you were to initially cook it a bit too long when you reheat the soup, it might be a little too soft. 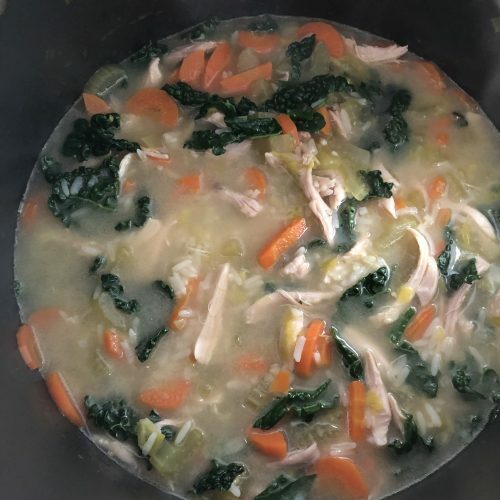 After 15 minutes, add the chicken back to the pan along with the cavolo nero and stir through to heat for five minutes until the chicken is heated through and the cavolo nero is wilted. This entry was posted in Soup on February 10, 2019 by Curly. Such a comforting bowl of goodness! Love it! It sounds absolutely delicious! I am such a fan of homemade soups too and am always making them for lunch but I don’t think I’ve made one with rice in for a long time. This was my first time making soup with rice and I think I’ll be making more! And thanks for sharing with #CookOnceEatTwice as well! I have never found a shop bought soup recipe that I like either! Your chicken rice soup looks great. 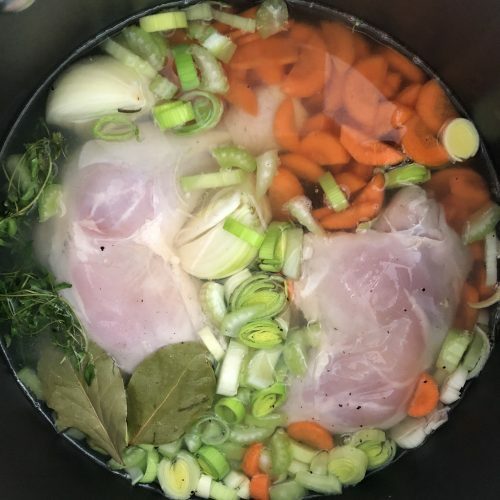 I also never buy soup and only make my own, there is something very cozy and satisfying about cooking it from scratch, especially on a cold day! Your chicken soup looks very tasty, I would love to have some right now! Such a lovely soup Cat! 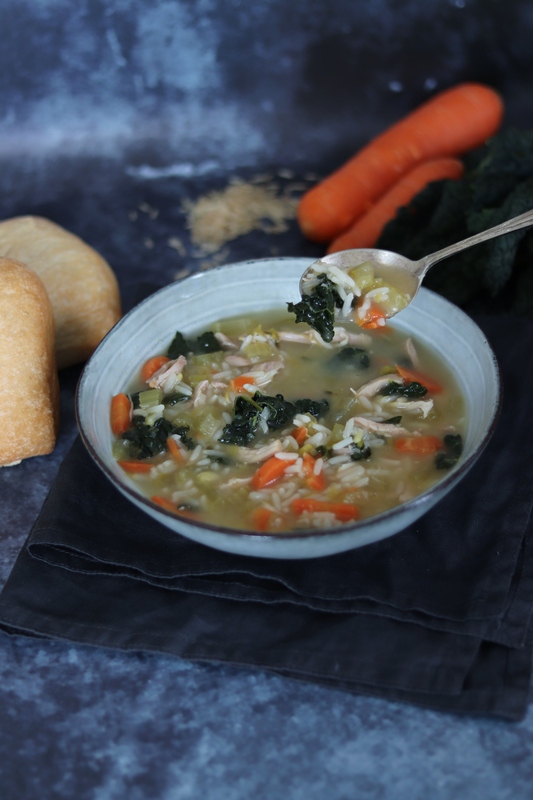 Chicken soup is definitely a soup for the soul as it is super comforting and I like the addition of rice for that extra bulk! Delicious! I’m a fussy soup eater too, especially since it’s so easy to make at home. I so need a heaping bowl of this chicken rice soup RIGHT NOW, with piles of snow outside! Oh no! This would definitely make you feel better with all the snow!